It is advisable to start your bicycle ride at a cycling network access point. Such an access point is easy to reach, free parking is available and a rail or bus connection is usually nearby. An information board helps you get going. Close to an access point you will also often find a café or restaurant, lavatories, and a bicycle hire or repair shop. 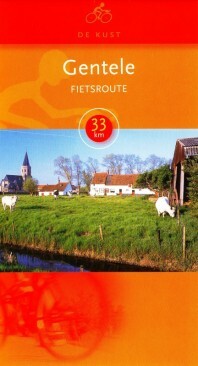 All routes within the Flemish Coast cycling route network are signed in both directions. Every junction is marked by a sign bearing the junction number and directions to the closest junctions. Between the numbered junctions small route signs will guide you. Along the main cycling axes such as old railway right-of-ways and canals, you will find target signposts. These fingerposts show you the direction and the distance to lovely villages and picturesque towns. • 1 cycling map with full network on front and back. • Over 930 kilometres of enjoyable cycling through woods and polders, past castles and along canals, and through picturesque towns and villages. • over 1.100 kilometres of enjoyable cycling along canals and old railroad tracks, through bustling cities and through the rolling green landscape between Leie and Schelde.